If you are flushing out excessive food that you have taken in, it’s not merely a diet strategy anymore. You could be bulimic already and suffering from bulimia nervosa! Bulimia nervosa is an eating disorder that is characterized by recurrent binge eating, then intentionally flushing out food in the body to prevent weight gain. 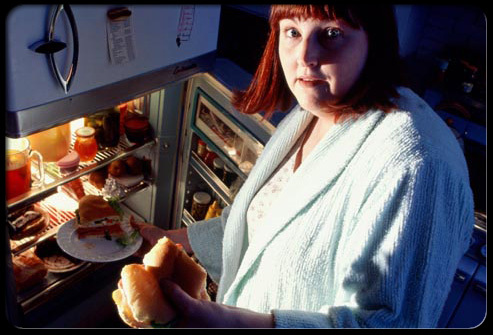 A person is classified as bulimic when he or she feels helpless to control binges. Binges happen when one consumes more food than what a person can eat in one sitting. Bulimics often binge, and these binges happen for at least twice a week for a period of three months. Often, these binges are followed with purging behavior, in which bulimics try to vomit what they have eaten in order not to get fat. Bulimia is a psychological disorder that involves body image. This often affects people who desperately want to become thinner. Normally, bulimic patients are young females aged 10 to 25 years old, belonging to a higher socio-economic status, and are active in dancing in sports, though all people are vulnerable to this disorder. Bulimia is less about food, and more to do with psychological issues, and lack of control. Bingeing episodes are commonly very severe, with bulimics eating food of more than 4000 calories – which is the equivalent of two days of eating. Purging sessions are worse, as bulimics feel compelled to vomit their food. Bulimics, due to these unhealthy behaviors, are at risk for many illnesses. They are especially prone to electrolyte imbalance (due to frequent vomiting), which leads to heartbeat irregularities and failure. They have eroded teeth, and are at risk for stomach and esophagus ruptures. They are also prone to ulcers, and pancreatitis (inflammation of the pancreas). In fact, bulimia and other eating disorders have the highest death rates among all mental illnesses. Treating bulimia is not easy, but attainable. In intervening in bulimia cases, clinicians must exercise firmness in making a patient comply with the treatment, though an air of understanding and compassion must be there at all time. Normally, with proper clinical and psychological treatment, bulimics recover within months and a few years.